I met two Rhode Island School of Design alums — Clifford Selbert and his wife Robin Perkins at a send-off event for freshman students. I learned their daughter is a fan of “America’s Funniest Videos”. I invited them to see a show. Vin featured them on television … and after a few re-scheduled shows, they finally got their 15 minutes. 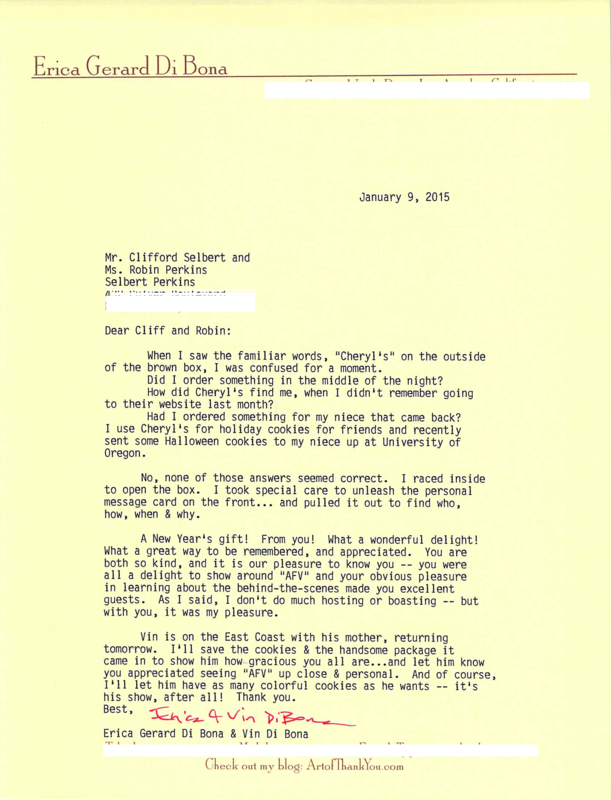 Today I was surprised by a package — cookies, it turns out, from Cheryl’s. As colorful and fun as Vin’s show. And as sweet and thoughtful as the Selbert/Perkins family.